Thank you for entering! 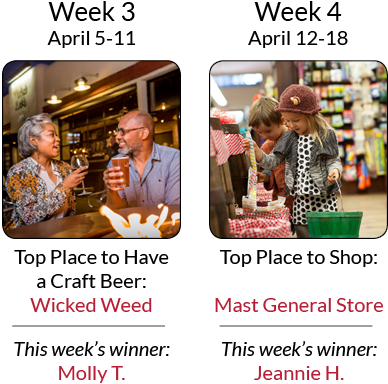 Remember to check back on Thursday for the weekly winners and the next contest category. Want weekly email reminders? Enter your email address below to receive a reminder in your inbox each Thursday. Subscribe to get weekly reminders in your inbox! You'll also receive our monthly eNewsletter and may unsubscribe at any time. 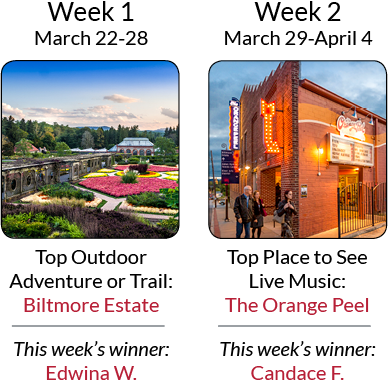 Asheville has so many things to do, from outdoors to dining, and live music to craft beer. We want to hear about all of your favorites! 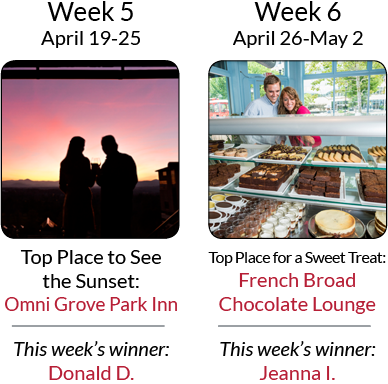 Be sure to come back next week for a new category, a new chance to win a weekly prize, and an additional entry for the grand prize – the ultimate Asheville experience, which includes two-night accommodations at the Hampton Inn & Suites Asheville - Biltmore Village and a $50 gift card to their Milepost 408 bar. 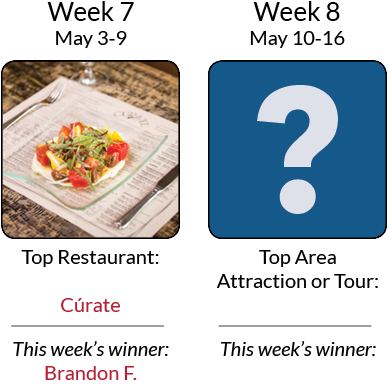 One Ultimate Getaway Winner will be drawn on May 17.